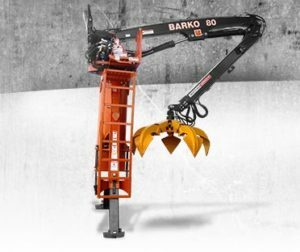 Barko’s back of cab knuckleboom loaders combine low installation weight with high payload capacity, resulting in maximum productivity for all your material handling needs. 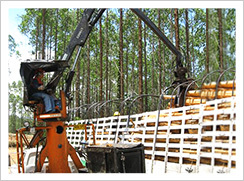 Loaded with standard features, these efficient units offer a high level of performance at a low total cost of operation. 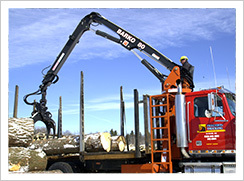 The 80XL features a 22-foot straight boom and offers up to 21 feet, 10 inches (665 cm) of horizontal reach. 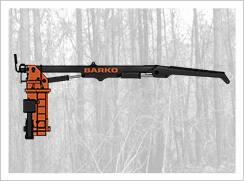 Featuring a 25-foot telescoping boom, the 80XLE provides a maximum horizontal reach of 24 feet, 10 inches (757 cm). 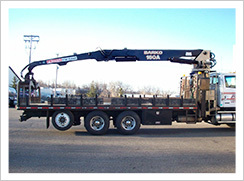 Equipped with a 23-foot, 4-inch straight boom, the 130B delivers an impressive max front lift capacity of 18,900 pounds (8,590 kg). The 160A has a 27-foot straight boom and is capable of reaching horizontally up to 26 feet, 4 inches (803 cm) from the pivot.